According to many that chose a newer Jeep Cherokee to flat tow behind their motorhome, one of the reasons they chose the Cherokee was for its simplicity in setting it up to tow. Simply put it in park, place the transfer case to Neutral, hook it up to the RV and tow. Many competitive vehicles require fuses to be removed, batteries to be disconnected or specific time or distance requirements when the vehicle needs to be started and run. Simple to tow was a badge the Jeep Cherokee wore proudly. Recently Fiat Chrysler became aware of a condition specific to the Jeep Cherokee that when flat towed, the front wheels would violently oscillate side to side creating a large amount of stress on the vehicle and its towing system. Investigation revealed that with the power steering depowered when towing that the natural resistance to prevent this type of condition was not present. The solution was installing a Electric Power Steering (EPS) Recall Kit which a Jeep Dealer must install, and a Jeep Cherokee owner must use while towing. This Recall Kit prevents future occurrences of this oscillation by maintaining power to the Electric Power Steering (EPS) when towing. The kit requires the Cherokee owner to follow a specific procedure to tow, which includes turning on a newly installed switch in the console to tow. (Follow this link to the steps required to prepare to tow as well as returning to the drive mode: https://www.rv-partsplus.com/upload/editor/documents/Jeep-Cherokee-Flat-Tow-User-Guide-Mopar-.pdf). You will note that one of the last steps in preparing to Tow, is to place a 10 amp minifuse in a newly installed fuse holder near or in the under hood fuse box (known as the Power Distribution Center). To make matters worse, this fuse holder is a rubber covered, inline style that makes inserting or removing the fuse difficult. This same fuse needs to be removed as the first step in returning to the Drive mode. As the makers of the RVing FuseSwitch™, we were contacted by some Jeep owners to see if we had a solution. Of course we do! Within a short period of time, with the co-operation of a Jeep Cherokee owner we were able to develop an application-specific installation and operation procedure that involves mounting a FSW1-MS RVing FuseSwitch™ on the cover of the under hood fuse box. Simply flipping the switch to the •Tow position after following the specified procedure is all that is required to tow. When the Jeep Cherokee is to be driven or if the vehicle is sitting for any length of time (such as while stopped overnight), then flipping the switch to Drive removes the fuse. Of course when preparing to drive the Cherokee the RVer must follow the after-tow procedure to return the car to the "Ready-to-Drive” Mode. The RVer towing a Jeep Cherokee, now has a regimen to follow to tow the Cherokee and the RVing FuseSwitch™ makes the procedure much easier to do. It is important to emphasize that installing this RVing FuseSwitch™ does not in any way alter the newly installed EPS Recall Kit, it simply makes the requirement to remove and insert a fuse easier. This has always been the case with all applications where removing a fuse is required. Not only does it make removing a fuse simple, it actually provides a additional margin of safety since the Jeep requires this fuse to be removed to ‘Drive’ the Cherokee not to Tow it. There is no need to remember where you left the fuse, no fumbling before a day of towing with installing a minifuse into a fuse holder and no risk that the Jeep cannot be towed after driving because you have misplaced the required fuse. 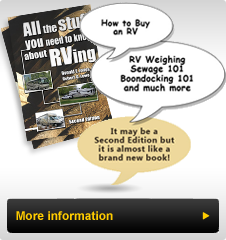 The RVing FuseSwitch™ is the solution!